East Rutherford is a borough in Bergen County, New Jersey, United States. Kick off your visit on the 15th (Fri): pause for some serene contemplation at Church of the Immaculate Heart of Mary, then get some fabulous bargains at Woodbury Common Premium Outlets, and then explore and take pictures at Bellvale Farms Creamery. Here are some ideas for day two: get outside with Meadowlands Racing & Entertainment, then examine the collection at Yogi Berra Museum & Learning Center, and then experience the excitement of Empire Rooms LLC. Plan my day in East Rutherford using traveler tips and tourist information provided by Inspirock. Philadelphia to East Rutherford is an approximately 2-hour car ride. In February, daily temperatures in East Rutherford can reach 42°F, while at night they dip to 26°F. Wrap up your sightseeing on the 16th (Sat) to allow time to travel to Miami. 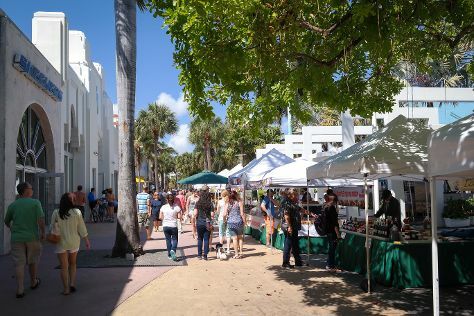 On the 17th (Sun), see the interesting displays at Vizcaya Museum and Gardens, wander the streets of Lincoln Road, then take a stroll through Art Deco Historic District, and finally make a trip to Bayside Marketplace. On the 18th (Mon), you'll have a packed day of sightseeing: stop by The Official Art Deco Gift Shop, then wander the streets of Ocean Drive, and then enjoy the sand and surf at South Beach. For where to stay, reviews, and more tourist information, use the Miami trip planner. Explore your travel options from East Rutherford to Miami with the Route module. In February, Miami is warmer than East Rutherford - with highs of 79°F and lows of 65°F. Wrap up your sightseeing on the 18th (Mon) to allow time to travel back home.